Find yourself adrift in color, light, and incredible glass artistry. 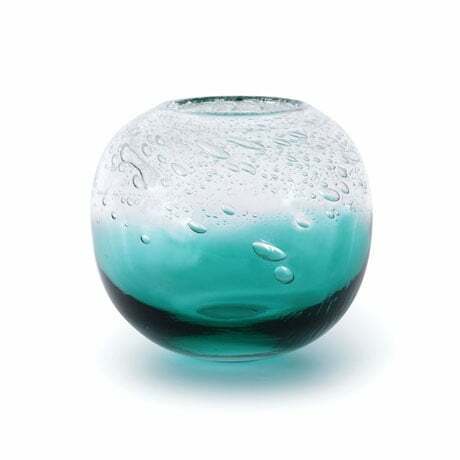 The rich deep-sea-to-clear colorshift of this blown-glass bowl is gorgeously hued, with bubbles accenting the upper half as if a wave has just hit full-force. An amazing art piece, it's handcrafted. 8" dia.